With a targeted spring launch date - the marketing team used this as an opportunity to introduce bright, vibrant colors to enliven the sophisticated Orbit Baby palette. Worked with designer and photographer to create a portfolio of creative assets for marketing use, including photography, graphic design, copywriting. Right from the start, Orbit Baby have established themselves as a sleek, modern brand in the premium baby gear market. Inspired by luxury automobile interiors, their products' color palette is sophisticated and tends to take on a more neutral tone. 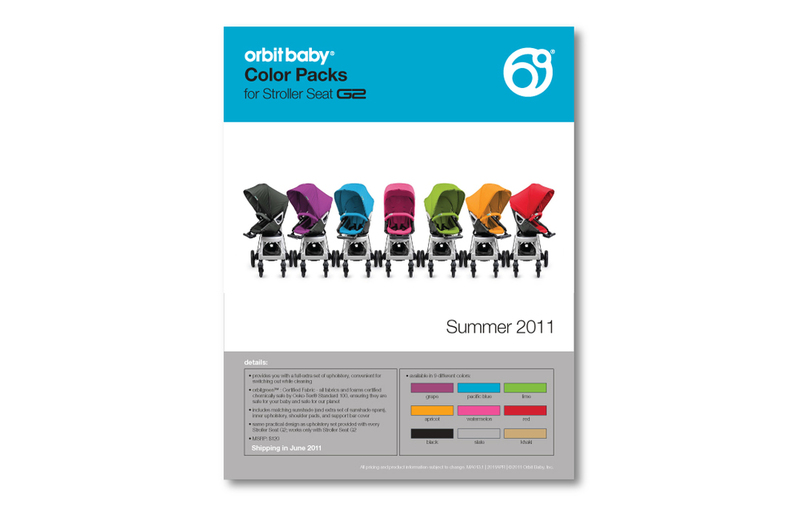 We saw an opportunity to give new life to the brand by bringing in colorful pops of color to the Stroller G2, and launched a new marketing campaign with the introduction of the Color Packs in Spring 2011.